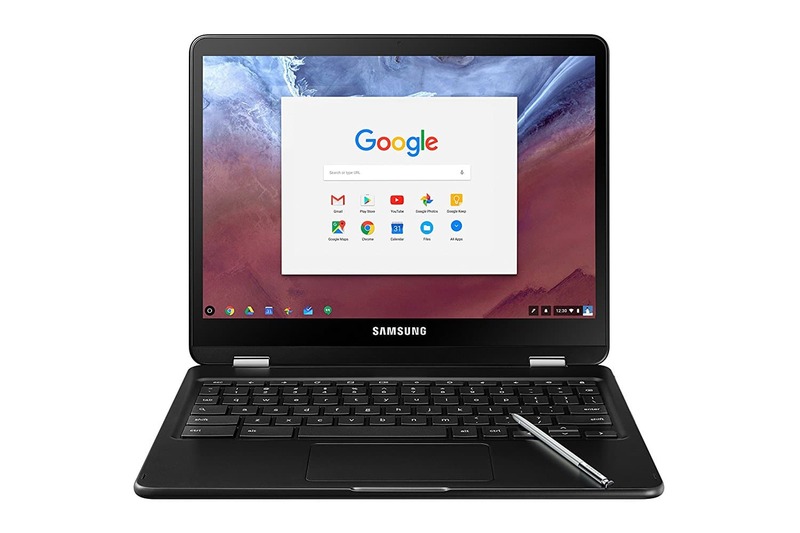 There is a complete list of Chromebooks that you can use for business and while on the go. These Chromebooks come in different styles and sizes, with all models being designed for adaptability. 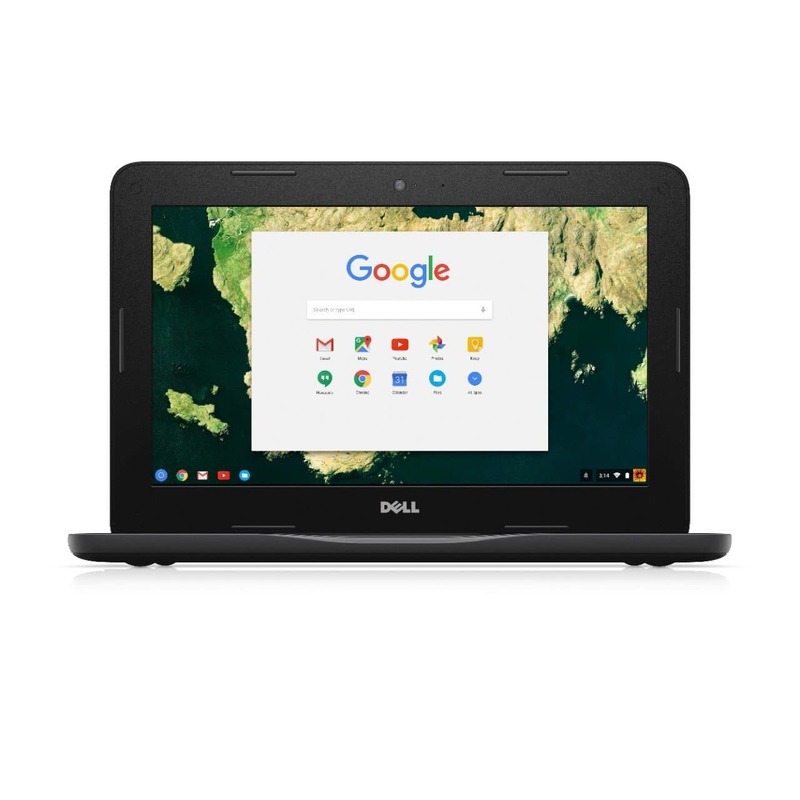 You can use these Chromebooks for your job or while travelling or even in a classroom. They are sturdy and durable and available for different budgets. The software loaded on them is not bulky and the performance is brilliant. If you’re not sure which Chromebook suits your purpose, check the ones given below. Here are some of the best Chromebooks for business. This is a convertible flip cover laptop that can also be used as a tablet. It offers real value as it is a combination of an Android tablet with a Chromebook. It is slim and light with an LED display screen of 10.1 inches having a resolution of 1280 x 800 pixels. It is powered by a 2 GHz Rockchip RK3399 processor combined with a RAM of 4 GB LPDDR3. The storage capacity is 16 GB eMMC. In addition to the internal storage, you can access more storage using the SD card. The touchpad is small and compact. It comes with two USB 3.1, Type C ports and one USB 3.0, Type A Port. In addition, there is a micro-SD card reader. The dimensions are 10.4 x 7.2 x 0.6 inches and it weighs 1.96 pounds. The battery life of this Chromebook averages around 9 hours. It comes in a brushed aluminum build with a central hinge allowing it to recline at 360 degrees, in a tablet mode, like a tent. The speakers are embedded within the keyboard offering a powerful sound. Those who want a Chromebook for business as well as a tablet for playing games, as it is a fusion of an Android tablet and a Chromebook. Those looking for a Chromebook that offers good value and performance at a reasonable price, with great functionality. 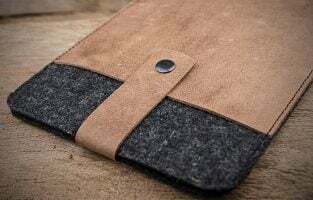 It has a chunky appearance with not too great aesthetics and a hefty lid giving it a rugged feel, so it is able to withstand a fall from a height of 3.9 feet, according to the company’s claims. All the parts, such as the battery, the motherboard and the thermal module are modular, so it can be easily repaired. The touchscreen is 11.6 inches of HD+ and you can use the Chromebook as a tablet or in a laptop mode. The construction is rugged with MIL-STD 810G that can protect it from accidental drops or falls. The keyboard comes in a design that is resistant to spills. The battery lasts around 12 hours. The screen can be flipped to 360 degrees and it is lightweight at 2.81 pounds. It is rugged and flexible with a hinge made of zinc alloy offering high strength. As for ports, there one USB 3.0 port, and one USB Type C port along with a micro SDXC card reader and a power button on the left side. On the right, there is another USB 3.0 port and one USB Type C port. Those looking for a flexible, durable Chromebook with long battery life, being a great option for students. Those who want a reliable and wallet-friendly Chromebook. This is a convertible laptop in a slim design. The display screen is 11.6 inches and the HD resolution is 1366 x 768 pixels with LED backlight. It is powered by the Intel Celeron 1.1 GHz processor combined with the N3350 with Intel Integrated Graphics 500. 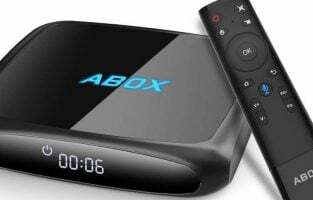 The system has a memory of 4 GB, which is sufficient for business or productivity purposes and multitasking, with an internal memory of 32 GB along with a micro-SD card that can be used for storage of 128 GB. The design is a convertible flip and folding one so you can use it as a tablet as well. The dimensions of the HP X360 Chromebook are 8.1 x 11.9 x 0.8 inches and the weight is 4.26 pounds. It is energy star certified and guarantees energy efficiency. As for ports, there are totally 4 USB ports with two Type A ones and two Type C ones. The keyboard and trackpad is excellent. Battery life is pretty decent and you can coast through the entire day without any difficulty, with about 8 hours of usage with a full charge. Those who are looking for a Chromebook offering a complete package with combinations of features worth the money. 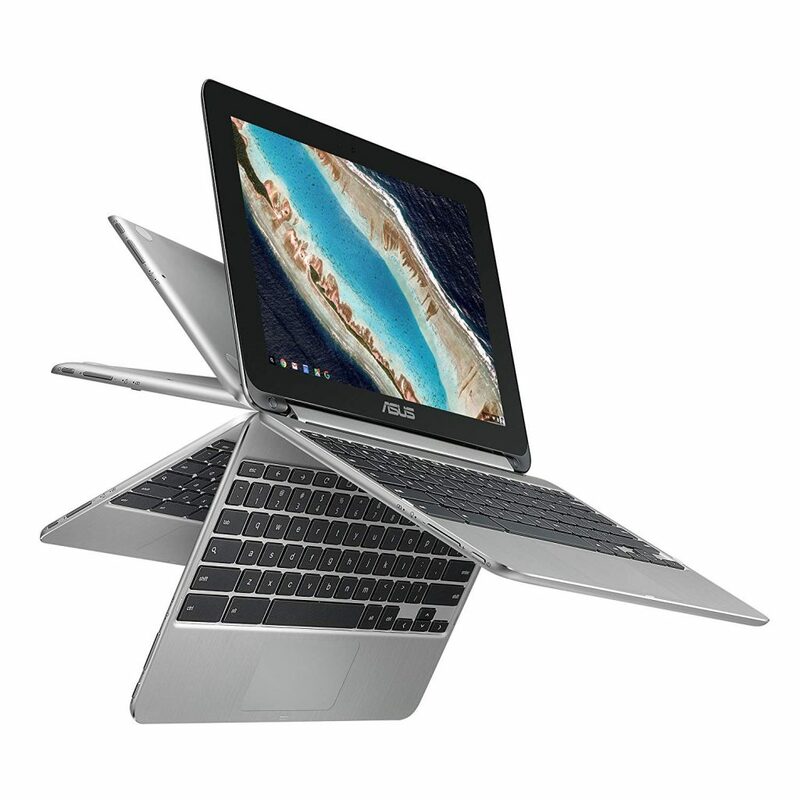 Those who want an attractive yet sturdy Chromebook in a convertible form. Perfectly suitable for those who want to work away from home. Also suitable for the education segment. 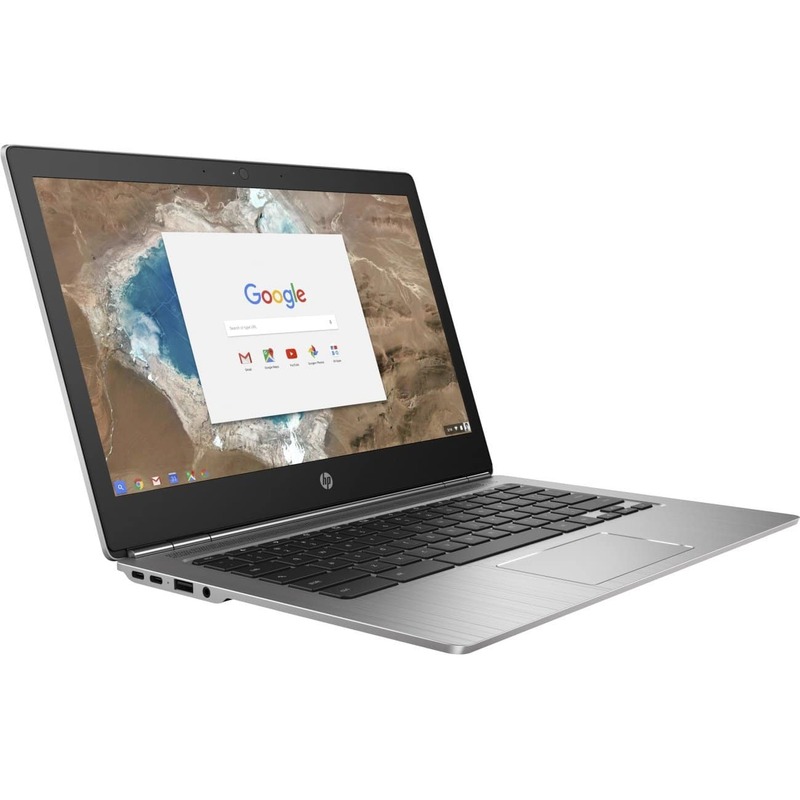 It is a true hybrid in every sense, offering great performance as well as compatibility and is one of the best Chromebooks and 2 in 1s available in the market today. It also comes with a Pen or stylus, though it is not included. This is very useful for loading Android applications on your Chromebook. It comes with Google Assistant in-built. Google’s premium Chromebook is powered by the 7th Gen Intel Core i5 processor clocking at 3.3 GHz combined with a RAM of 8 GB and internal storage of 128 GB. The battery is powerful and can deliver about 10 hours of usage, and it also comes with quick charging features. It has an integrated graphics co-processor Intel HD615 with a RAM size of 8 GB. Google Pixelbook is worthy of being compared with Macbooks and top tier Windows notebooks. Those who want the best and most high performing Chromebook. Those who want a premium Chromebook with excellent design and software enhancements. Those who are looking for excellent color reproductions and who wish to also use it for movies, photos and for photo editing. Those who are looking for full-blown support for Android apps and the Google PlayStore and don’t mind paying the price for it. This is a classy looking Chromebook, which is also strong and offers good performance. There is one USB 2.0 port and one USB 3.0 port along with a full-sized HDMI port, and micro-SD card slot. The dimensions are 5.5 x 0.5 x 3.4 inches and it weighs 2.43 pounds. It has a great LED display with a resolution of 1366 x 768 pixels with 259 nits offering exceptional brightness. The Chromebook offers a HD web camera that comes with filters like Vintage, Big Eyes for enhancing a video chat. The keys are well sized and typing on it is comfortable. It is powered by an Intel Celeron N3060 processor clocking at 1.6 GHz combined with a graphics 400 and a RAM of 4 GB. The internal storage is 32 GB with eMMC flash storage and it is more sufficient for productivity purposes and for handling casual app or web-based games. The battery lasts for around 9 hours, which is respectable enough. 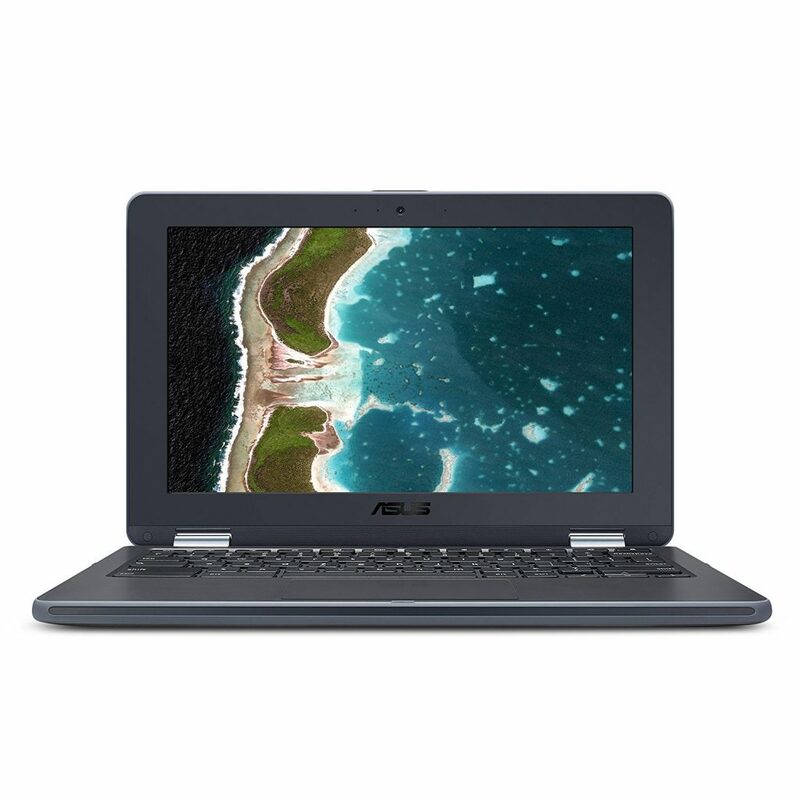 This Chromebook is suitable for business, for school, entertainment, frequent travelers and for young kids as well. Suitable for those who like the Chrome OS. Those who are looking for a Chromebook with a good build and an affordable price tag. It is a convertible or two in one, which means that you can use it as a laptop or a tablet, by flipping the screen 360 degrees, in a tent mode for video chats and like a kiosk for watching a movie! It is powered by an Intel Celeron 3965Y processor clocking at a speed of 1.5 GHz with a RAM of 4 GB and internal storage of 32 GB. This is combined with a graphics card Intel HD 615. It offers a built-in stylus or pen experience, which can be used without having to charge it. The display screen is 12.2 inches and it has a screen resolution of 1900 x 1200 pixels. The dimensions of the Samsung Chromebook Plus V2 are 11.3 x 0.7 x 8.2 inches and it is light at just 2.9 pounds. It also has a high resolution 13 MP camera above its keyboard in addition to the front-facing camera. Students and professionals might find this useful for making a quick video. As for ports, there are 2 USB C ports and one USB A port along with a headphone/ microphone jack of 3.5 mm. You can use the touchscreen or the touchpad instead. 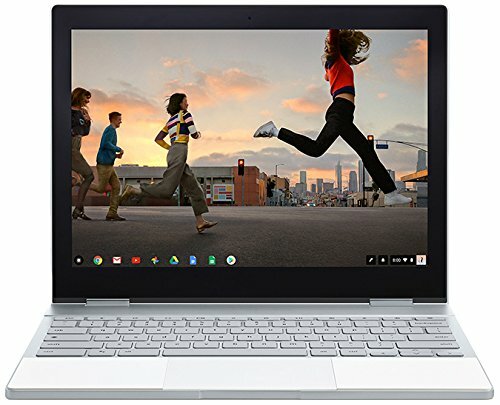 It is worth paying the additional amount, as it comes with excellent performance due to the new processor, a high res camera, and a built-in pen, so you can get the maximum advantage of the Chrome OS as compared to a low-end Chromebook. Those who want a premium Chromebook from a market leader, with great design and build quality. Those who want to use a built-in pen for sketching, writing and magnifying purposes etc. Those who want to use apps such as Microsoft Office will find it easy to use Android versions on this Chromebook. 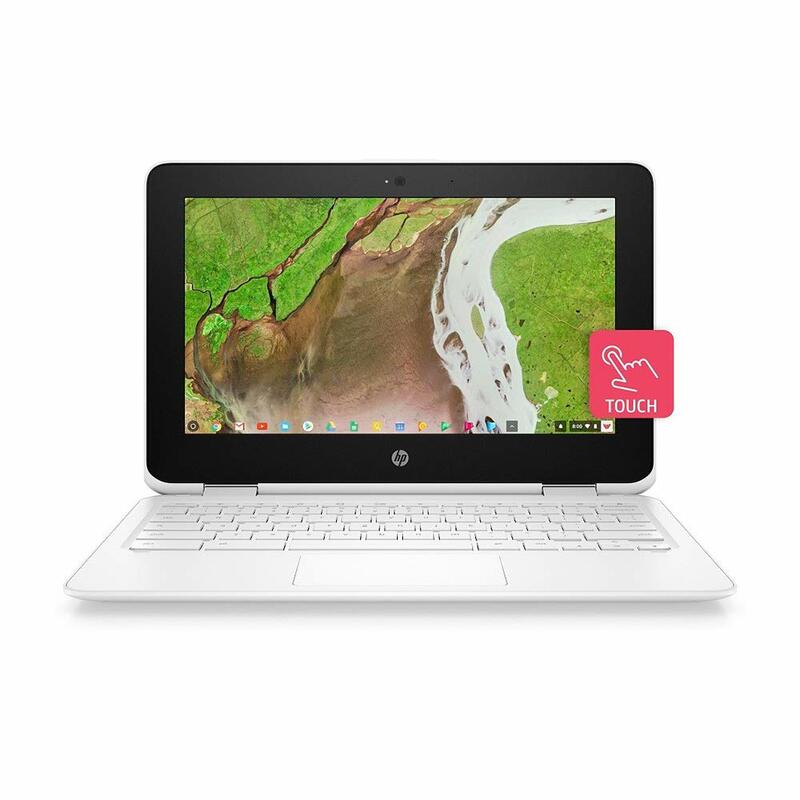 The HP Chromebook X2 is made of white anodized aluminum serving as a laptop as well as a tablet in reverse. The dimensions of the HP Chromebook X2 are 11.5 x 8.3 x 0.3 inches, and it is 0.6 inches in thickness weighing 3.06 pounds. There are two USB Type C ports and one SD memory card slot along with one headphone jack on the side. The 12.3 inches screen comes with a resolution of 2400 x 1600 pixels and it has a 2K WLED back-lighting feature. It is powered by an Intel Core m3 7Y30 processor clocking at a speed of 2.6 GHz along with the Intel Turbo Boost Technology, with 4 MB of cache and 2 cores. It has a RAM of 4 GB along with an internal memory of 32 GB eMMC. The battery life is also excellent and lasts for 8 hours. The HP X2 comes with a solid 13 MP rear camera, so it is good for taking decent photos. The Skype camera or selfie camera is also good at 5 pixels. It is comfortable to use as it stays quite cool while in use. Those who want a Chromebook offering strong performance and good battery life for better productivity. Those who don’t mind a higher price for a Chromebook that is totally worth it. It comes in a brushed aluminum cover and is a convertible with 14 inches display screen. The dimensions are 0.7 x 13 x 9.1 inches (HWD) with a large bezel. It is rather heavy at 5.77 pounds. The 14 inches of display is a full HD one with a resolution of 1920 x 1080 pixels. The design is a 360 degrees flip type. As for ports, there are two USB Type C 3.1 ports on the left side and one USB Type A 3.1 port as well as one micro-SD card slot. It has a stylus included in the package and the good news is that you need not to charge it, as it makes use of EMR technology. Multitasking is easy and smooth, with apps opening in seconds. The battery is powerful and lasts around 9 hours. In short, you have to pay a premium price for a premium Chromebook with aluminum exterior, a keyboard that is back-lit, a vibrant display and EMR stylus support. The Chromebook is powered by a Core i3 813OU processor with 4 GB or RAM and it has a storage of 128 GB eMMC flash memory. 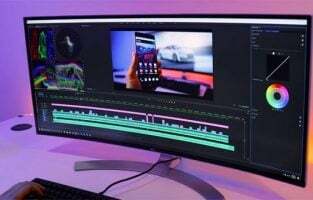 This is combined with Intel UHD Graphics 620. Those who want a top quality Chromebook to match the status of Macbooks or a top tier Windows laptop. Those who want smooth multitasking without any lag. 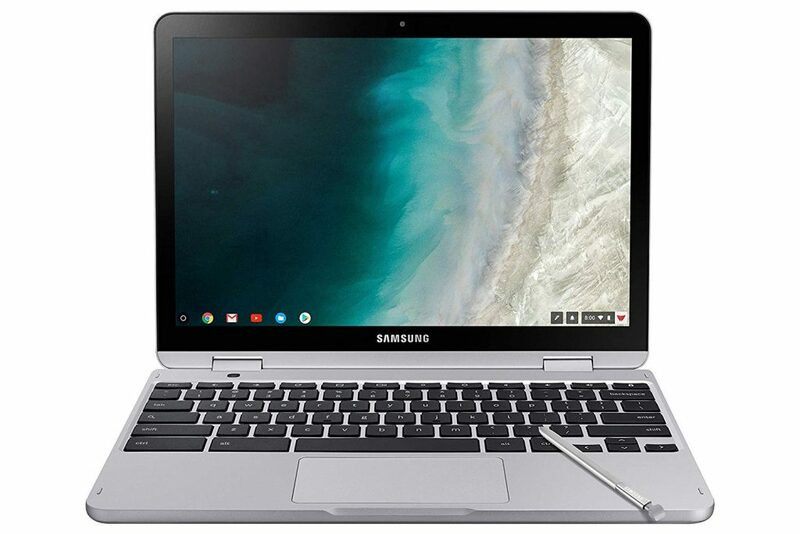 Those who are willing to pay a premium price for a premium Chromebook. 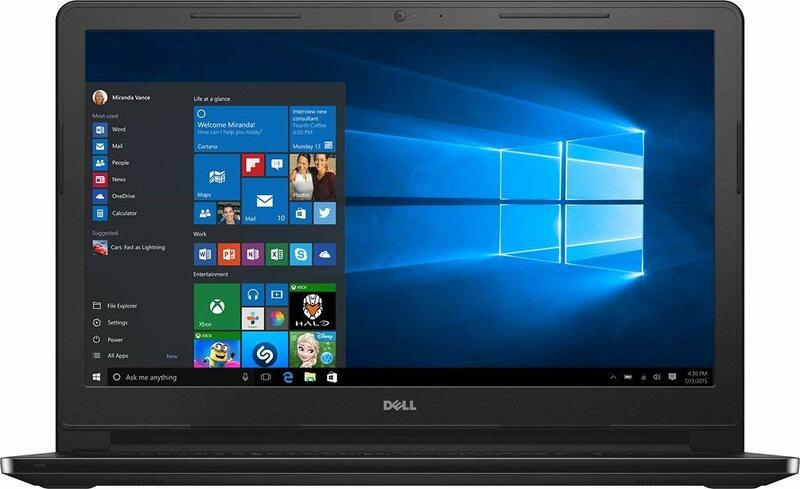 The Dell Inspiron 3000 offers the perfect balance of price with performance, without too many compromises. It is made of textured plastic with a glossy casing. The dimensions are 15 x 0.9 x 10.2 inches, it is 0.9 inches thin and it weighs 4.85 pounds. This is a 15 inches laptop with a screen resolution of 1366 x 768 pixels. As for ports, it has one USB 3.0 port and 2 USB 2.0 ports along with one SD card slot and headphone jack. It is powered by the 5th Gen Intel Core, i5 5200U, mobile processor and this is combined with 8 GB of system memory that is useful for multitasking. In addition, there is 1 TB hard drive file storage available. As far as graphics are concerned, it has an integrated HD Graphics, 405 chipset. The battery life is also decent at about 6 hours. This Chromebook remains comfortably cool while using it. 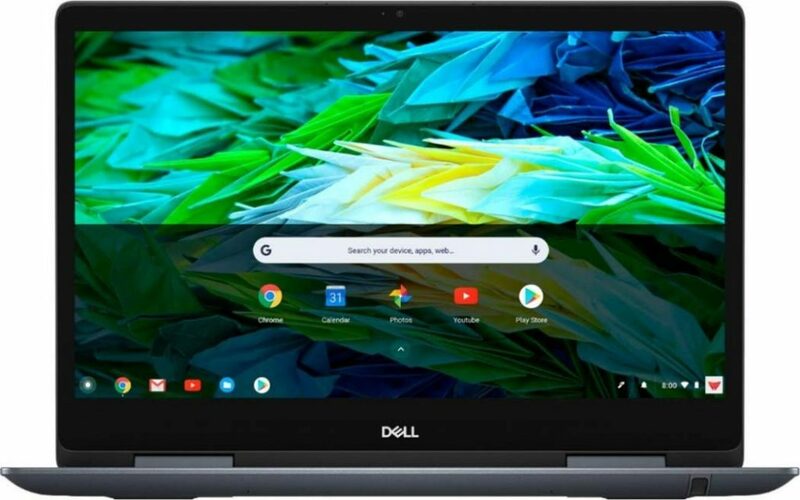 Those looking for a top performing Chromebook at a reasonable price. Those looking for a Chromebook for business purposes with the good build quality and decent battery life. 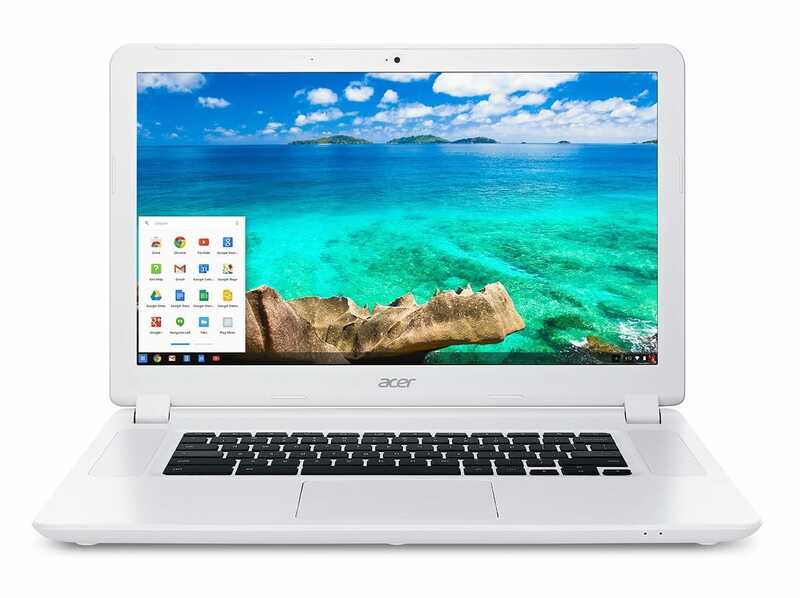 The Acer Chromebook R 11 comes in a minimalist design offering a capable laptop that can also flip to become a tablet. It is light at just 2.76 pounds and the dimensions are 11.5 x 8.023 x 0.76 inches, consisting of a slim white plastic having a matte finish with a metal panel lid. The 11.6 inches HD screen has a resolution of 1366 x 768 pixels with LED-backlit IPS technology. As for ports, it has one USB 2.0 port and a USB 3.0 port as well on different sides, along with one HDMI port, headphone jack and an SD card slot. 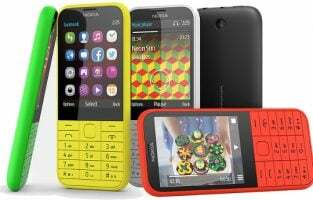 It is powered by a quad-core Intel Celeron N3150 chipset clocking at 1.6 GHz combined with a RAM of 4 GB, along with storage of 32 GB. In addition, you have 100 GB of Google Drive, free storage in the cloud. As for graphics, there is an integrated Intel HD chip. The battery life averages around 10 hours. Those who are looking for a super affordable Chromebook for business. Those looking for a stylish as well as affordable Chromebook. It comes in a sturdy and durable design and is available at a bargain price. IT has a rubber bumper wrapped around its lid and can handle flat dropping up to 3.9 feet height. 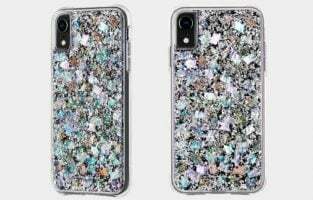 It is also easy to carry around and is water resistant as well, able to handle spills up to 2.65 ounces, with Mylar lined plating on the innards. It can also be repaired easily by removing the bottom screws to change the motherboard or the battery and other parts. The display screen is 11.6 inches of HD screen at a resolution of 1366 x 768 pixels, with anti-glare display technology. It has two USB A ports with 3.0 super speed, along with HDMI port and an SD card slot. 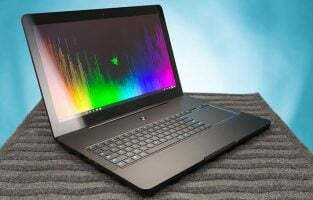 It is powered by the Intel Celeron N3060 processor, a dual-core processor clocking at 1.6 GHz, combined with a RAM of 2 GB and having HD graphics 400. It also has flash storage of 16 GB. It is unique in the sense that it has a great build and excellent keyboard when compared to other cheaper Chromebooks. The battery life is also pretty decent. 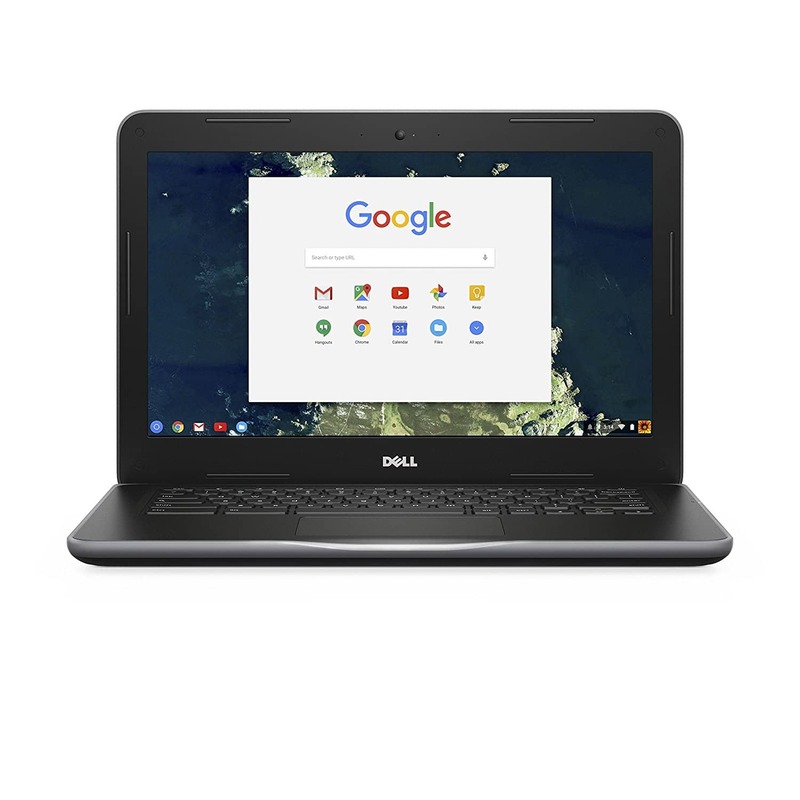 Those looking for a budget Chromebook for business and for school work. Those who want a sturdy Chromebook that can be shoved into a backpack and handle wear and tear in a home or school. The best Chromebook for a business that is available with all the high end features to offer a fast and enjoyable performance. If your budget is a bit more, we recommend you to go for this one. Even though this Chromebook is priced a bit more than the other Chromebook, the performance indicates that the price is really worth. Its features and specifications include Intel Core m3 processor with 4GB RAM and 64GB storage, 12.5 inches full HD touch screen, the backlit keyboard, long life battery (10 hours almost), convertible design, excellent onboard space etc. which altogether indicate this piece is bound to deliver an amazing performance. One of the best Chromebooks for business to mention in our list. If you are looking for something under $300, this is probably the best choice for you. This 14-inch Chromebook is sturdy enough to withstand drop up to 4 feet. Also, if security is your main concern, this is the piece to go for. It comes wrapped with security features such as remote management capability, hardware encryption etc. to offer the utmost security. 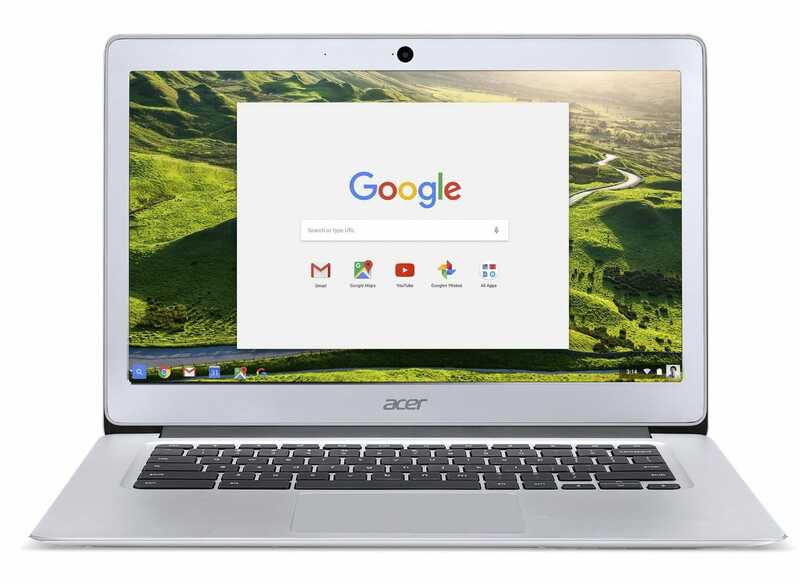 Numerous variation of this Chromebook is available while the prices will also vary according to them. The Quad-core Intel Celeron N3160 processor with 4GB RAM and 32GB storage is the base model. It has an IPS display with an all aluminum chassis. 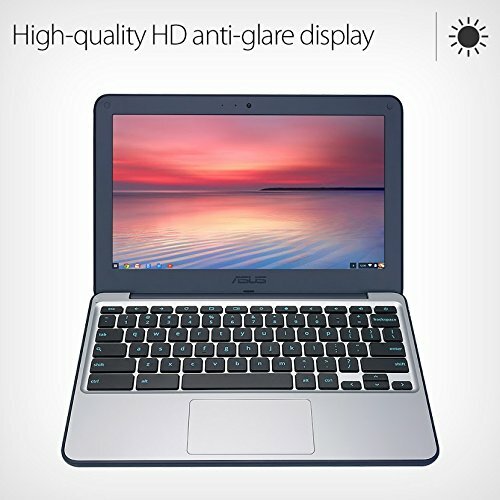 One more cheap Chromebook to mention here. This is a very budget friendly laptop that is available below $250. So, all can go ahead to have this laptop. It has an 11-inch screen that let you enjoy everything perfectly. However, if you wish to get a bit bigger screen that is also available. If durability and speed are your aims, we will recommend getting this one. However, if you are looking to the design parts as well, this is not for you. The base model’s specifications are Celeron N3060 processor with 4GB RAM and 16GB storage, an 11.6 inch HDF Non-Touch LCD display while the battery too is good enough to offer long 10 hours performance. Good choice for all while the bank account is a bit less. 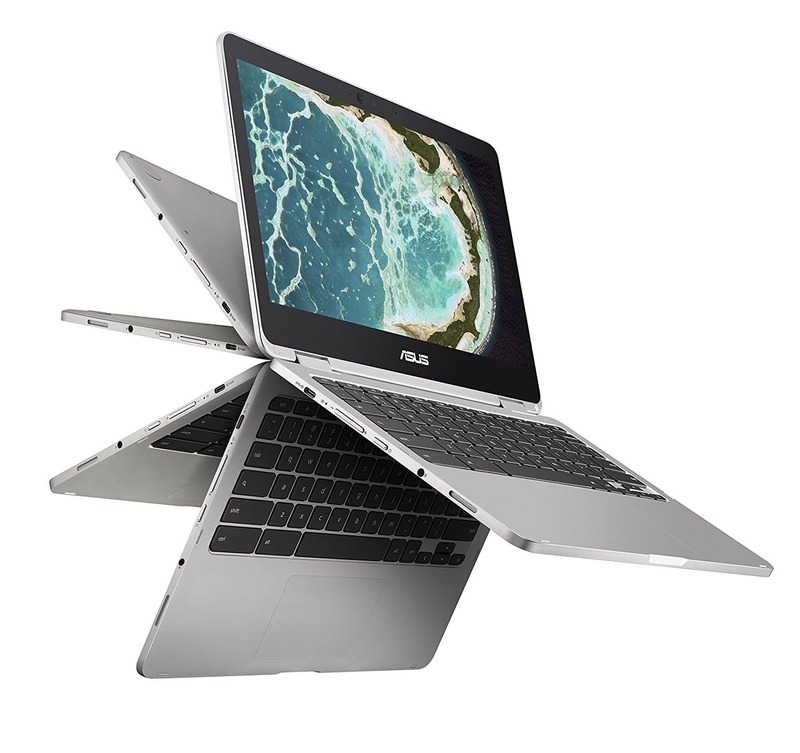 Another great Chromebook from Dell in case your requirement is a bigger screen. This one comes with the 13.3 inches HD full screen. This is the perfect fit for business and organization that is packed with an Intel Celeron C3855 Processor, 4GB RAM and 16GB storage. The battery life too is pretty long that can keep the phone alive for almost 13 hours. So, you can step out of the house without the battery. The design is also good enough. The display is covered with a Gorilla glass to ensure extra protection. Overall, this is really a great laptop to own for your business purpose. Lenovo too has made their way into the Chromebook and fortunately, they too have gained much success. Lenovo Flex 11 is a convertible laptop that you can use as a laptop and tablet both in need. It has an 11.6 inch IPS display with the flip and fold convertible chassis. Under the hood, it packs MediaTek MT8173C processor with 4GB RAM and 32GB Storage. The integrated graphics allow you enjoying all kind of stuff smoothly. So, this is a great companion for you to spare the idle time. 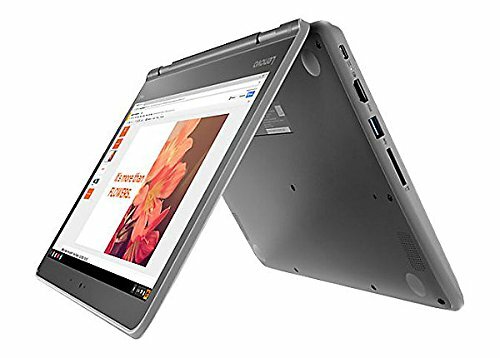 Lenovo Flex 11 is no doubt a great fit for the business people that come in a very affordable range. 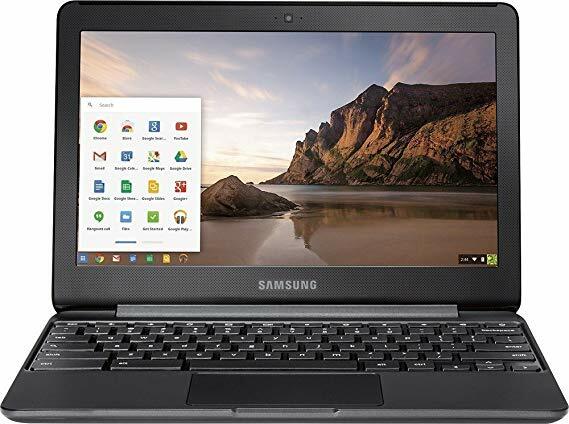 This is one of the latest and definitely best Chromebooks for business 2019 that is launched very recently. The attraction of this Chromebook is the support for all Android apps. So, if you are a fan of the Android apps and wish to run the apps on your Chromebook as well, Samsung Pro is the right fit for you. You can download all the apps from the Google Play Android App Store and install them normally to use them on the laptop. Coming to the specification part, it packs the Intel Core m3 processor with 4GB RAM. It has a slim and light-weight design to carry it easily everywhere with you. However, the price is a bit more than the average Chromebooks. If you have some fascination over the HP brand then this is the option for you. It is an amazing Chromebook with a 13-inch screen size through which you can accomplish all your business tasks. 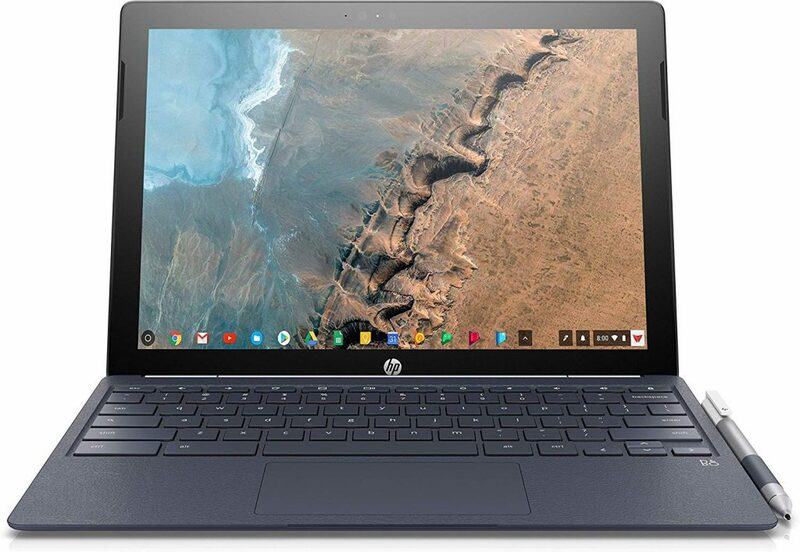 HP has integrated an Intel Pentium processor of 440Y with 4GB RAM and 32GB storage in this Chromebook. Its performance is excellent while the scalability and flexibility let you enjoy multitasking greatly. However, the price is a bit high, so if budget is not a bar, you can easily go ahead to get this piece. One more Acer Chromebook which is just right fit for the business people. It has a bigger screen of 15.6 inches. So, if your business requires a bigger screen, then you can look for this option. 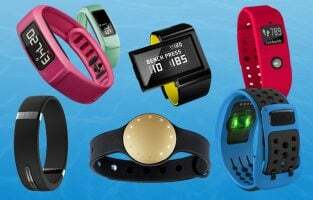 It is also available at a very affordable range. So, all can stretch their hands towards it irrespective of the budget they have. Acer has incorporated a dual-core Intel Celeron 3205U 1.5 GHz Processor with 4GB RAM and 32GB SSD in this laptop. The display is 15.6 inch full HD IPS while the Intel HD graphics allow you enjoying all kinds of stuff smoothly. The battery life too is not bad at all. It can work for long 9 hours on one charge. You will get it on Amazon at a great discount. Chromebooks are Google products, which means that they are unique and come with some amazing features for enhancing productivity. They come with the Google Chrome OS, which is easy to use especially if you are familiar with other Google services. All you need to do is to log into your Google account and immediately get connected with Google Docs, Gmail, YouTube etc. You can also sync all your devices and store important files using Google Drive, offering the facility of retrieving files at any time from the cloud. Chromebooks also have the added advantage of accessing all the Android apps. 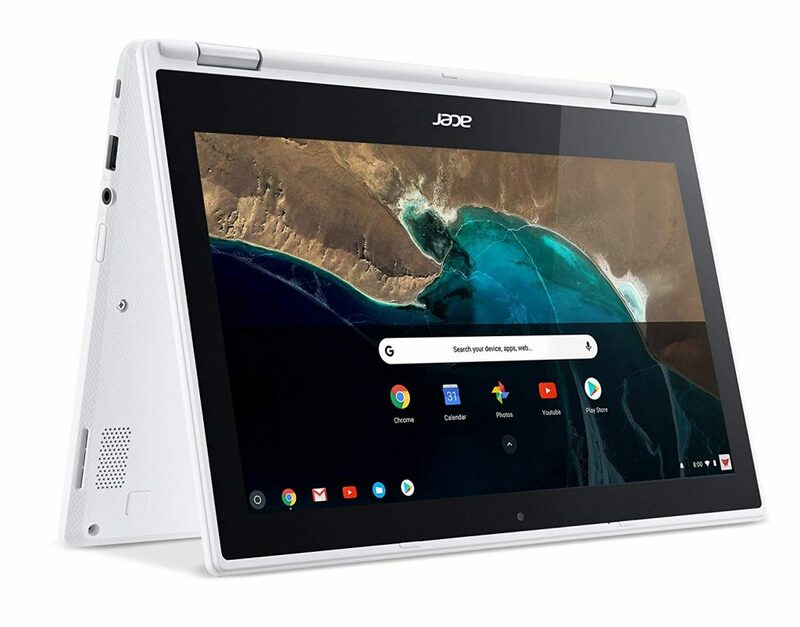 Check out the above Chromebooks all of which come with tough exteriors and screens that can handle anything you want to throw at it. These are business Chromebooks that you can afford at any budget.